James Blunt in Montreal or Quebec City? 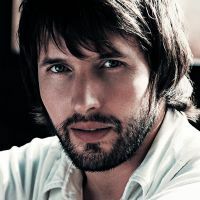 Inform me about the next events for James Blunt. Enroll yourself to our priority waiting list for James Blunt to be alerted when new tickets are available. Filling this form doesn't engage you to any purchase. James Blunt, the British pop singer sensation, will be in concert at the Bell Centre, in Montreal, on April 23rd, 2014. Besides a special intimate and private event at Centre PHI, James Blunt's last performance in Montreal was in November of 2011, at the Bell Centre, a few months after his show at the Place des Arts in April of that year. Don't miss it, James Blunt fans !